Could this blockbuster pioneer a novel and entertaining way to highlight Chinese government policy victories? Over the past few years, China’s netizens have often wondered why their country doesn’t make more socially conscious movies like India’s Dangal or South Korea’s A Taxi Driver. Now, with the box office success of drug smuggling drama Dying to Survive (我不是药神), the situation might be changing. The film earned just short of $200 million USD over its opening weekend — compared to $130 million for 2017’s box office champion Wolf Warrior II — and became the first Chinese movie in 16 years to score 9/10 on Douban (China’s IMDB). That said: what’s so special about Dying to Survive, and what does its success mean for Chinese society and cinema? Part of Dying to Survive’s success lies in how it drew from the real-life story of Lu Yong, a Jiangsu-born textile manufacturer who purchased anti-cancer drugs from India for himself and thousands of other Chinese chronic myeloid leukemia (CML) patients. Because the drugs weren’t approved for sale in China, authorities charged him with selling fake drugs in summer 2014. However, the drugs Lu bought weren’t exactly “fake”. Lu and other CML patients started off using Gleevec, an anti-CML drug made by Swiss pharma company Novartis—which cost a whopping 23,500 RMB (around $3,600 USD) per month, a price that would bankrupt most Chinese. In 2004, Lu discovered that Indian drugmakers made a Gleevec equivalent (a generic) that was just as effective, approved in Japan (but not China), and cost a fraction of Novartis’ product. Lu spread the news with other CML patients on other message boards, and soon started importing this Indian version of Gleevec. After his arrest, Lu’s case garnered appreciable media attention across China. Pressure from CML patients and public outcry against the monopolistic pricing practices of foreign drugmakers led Lu’s story to a remarkable conclusion: a local court withdrew the case, stating that his actions did not constitute criminal wrongdoing. Dying to Survive takes the outlines of Lu’s story and adds dashes of dramatic license to strengthen it for the big screen, drawing comparisons to the Oscar-winning US film Dallas Buyers Club. 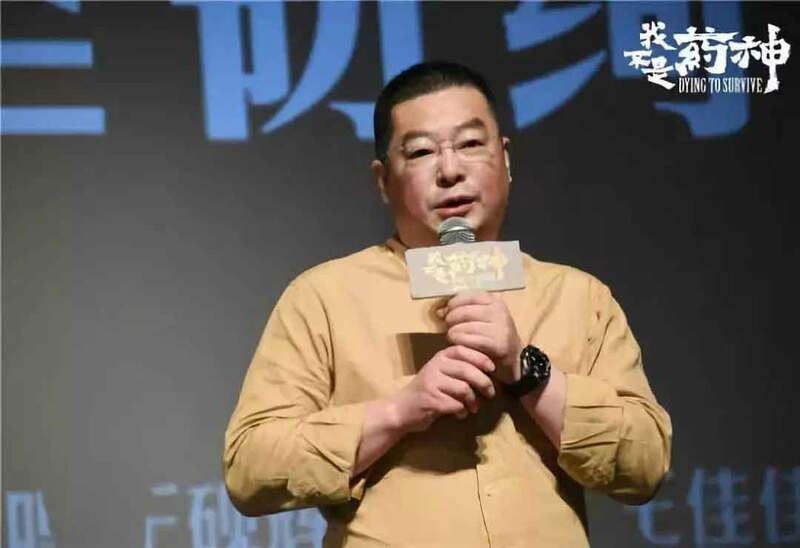 Notably, unlike Lu Yong, the film’s protagonist Cheng Yong (played by comedy superstar Xu Zheng) is not a CML patient himself; instead, he’s a money-driven aphrodisiac salesman. 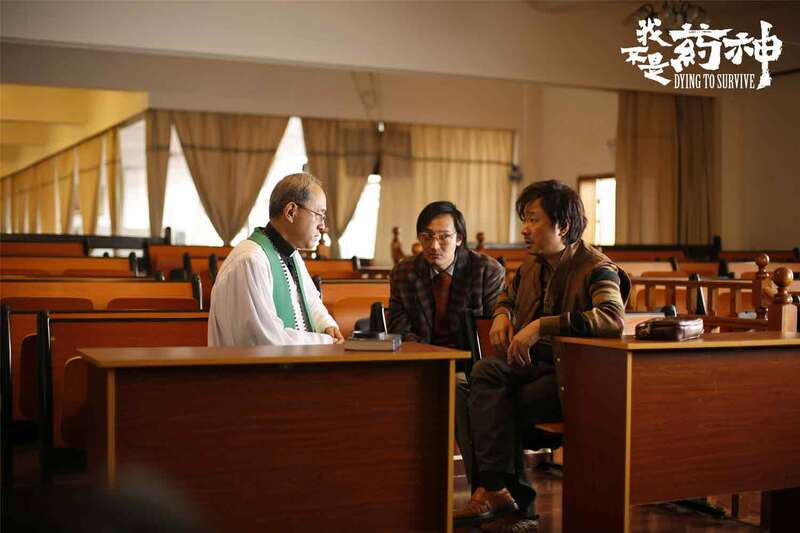 This allows Cheng to gradually mature as a character, winning the audience’s sympathy as he discovers the plight of CML patients and becomes involved in drug importation. Cheng doesn’t go at it alone though. He gains a motley crew of fellow conspirators, including a mother who strips to raise money for her daughter’s CML treatment and a Christian pastor whose English skills help Cheng deal with Indian manufacturers. Opposite Cheng is police investigator Cao Bin—who not only is assigned to crack down on the “smuggling” operation, but also is Cheng’s estranged ex-brother-in-law. In the span of two hours, Dying to Survive manages to make all these characters three-dimensional, injecting additional emotional weight. Unsurprisingly, there were many tears shed at the theater in which I watched the film. There are several notable ways in which Dying to Survive departs from your standard Chinese blockbuster. The most obvious is in how it directly grapples with a relevant social ill, i.e. the exorbitant cost of certain medicines in China, and the extreme lengths Chinese will go to in order to mitigate those costs. Normally, mainstream Chinese movies relegate any social challenges to the background; for example, the 2016 hit The Mermaid brought up environmentalism, but only as an undercurrent. Virtually all Chinese blockbusters “based on a true story” are historical, drawing from sanctioned events like the Second Sino-Japanese War. Dying to Survive not only draws from a very recent real story, but also doesn’t shy away from depicting suffering. For instance, there’s a poignant scene in which Cheng grimaces as a CML-suffering friend screams in pain while receiving end-of-life care in the absence of affordable, Indian-imported drugs. Additionally, Dying to Survive shows Chinese citizens organizing without official government sanction. The mother-turned-stripper helps Cheng Yong gain clients through a series of patient chatgroups in QQ, and there’s a powerful montage showing hundreds of citizens placing orders and expressing exuberance at how Indian-imported drugs will inject new hope into their lives. Furthermore, the Christian pastor uses his congregation as a distribution channel, and we see him preaching the figurative gospel of Indian-imported CML medicine at church on-screen. Now you might be thinking: why didn’t this movie get banned in China? Isn’t the Chinese government all about promoting optimism instead of social woes, and also quite averse to citizen organizing—especially of a religious nature? While media controls certainly exist in China, Dying to Survive demonstrates how such controls have tremendous nuance. China’s government isn’t stupid: if you look closely at Dying to Survive, you’ll notice how it actually reinforces wholesome messages in line with China’s current economic and political priorities. Sure, the movie shows a social problem — but it also depicts the government responding positively to that problem, with compassion towards citizens’ concerns. Spoiler alert: as “antagonist” police investigator Cao Bin digs deeper, he begins to doubt his mission when he realizes fellow Chinese will needlessly suffer at the meddling hands of a heartless Western drugmaker. Cheng Yong eventually gets caught, but only receives a five year sentence, as opposed to life in prison (but still more than the real-life Lu Yong). These instances show how while China’s government must always respect the rule of law, it can exercise compassion in light of legitimate citizen concerns. At his trial, Cheng Yong states: “I violated the law, and so I deserve punishment. But, when I see these patients, I feel so sad for them….they have no choice but to wait for death, or even commit suicide. However, I’m certain things will get better and better in the future”. Cheng’s optimism bears fruit. 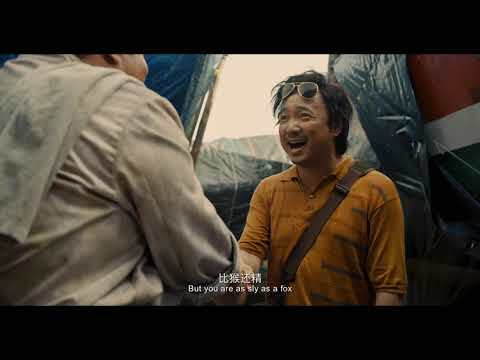 In the film’s very last scene, we see Cheng released from prison. When Cao Bin picks him up from the prison gates, he tells Cheng how now, there’s no need to sell “fake drugs” anymore because health insurance covers the Novartis-made medicine. This statement has some basis in fact: Gleevec started being covered under China’s national health insurance reimbursement scheme last year, and his now a fraction of the price Lu Yong would’ve paid a decade ago. In the past two years, China’s government has also launched aggressive efforts to bust pharmaceutical monopolies and force Western pharma firms to slash prices of life-saving medicines before granting insurance reimbursement eligibility. All this comes as Xi Jinping spearheads Healthy China 2030, an ambitious attempt to prioritize public health and reform China’s healthcare system. Through this lens, Dying to Survive becomes a more optimistic movie. You could even say it offers a model for highlighting “popular sovereignty with Chinese characteristics”, in which—as long as they maintain a harmonious social climate and don’t resort to disruptive Western tactics in contravention with the rule of law—Chinese citizens can rest assured that their government will act according to popular concerns. Dying to Survive highlights a reality that many in the West often forget: that even in the absence of electoral democracy, China’s central government still monitors and cares about popular sentiment. After all, a happy populace provides an unassailable mandate for continued Communist Party rule, which citizens can trust to deliver results in China’s struggle to become a “rich and powerful nation”. With Dying to Survive’s success, we may see yet more socially conscious movies that promote a model of “popular sovereignty with Chinese characteristics”, just as more “foreign military intervention epics” sprung up in the wake of 2017’s box office hit Wolf Warrior II. As China stands up, gets rich, and becomes powerful, it is finding compelling ways to adapt different movie genres to uniquely Chinese circumstances. Just like with “foreign military intervention epics”, allowing more socially conscious movies like Dying to Survive actually benefits the Chinese government. As long as such movies show the social ill at hand being addressed, they can provide an entertaining medium to celebrate policy accomplishments. 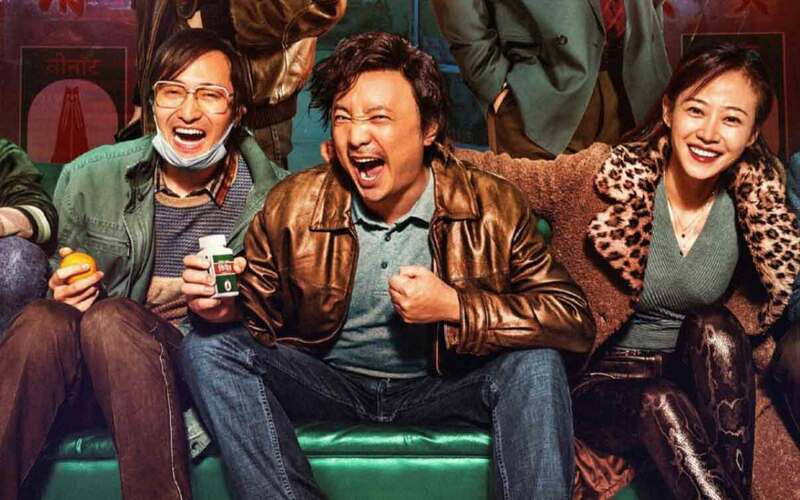 After all: if lowering drug prices can spawn a blockbuster like Dying to Survive, who’s to say China can’t make a movie about downtrodden factory workers that conveniently promotes the Made in China 2025 domestic manufacturing initiative? Given the preponderance of social challenges China’s government is trying to address over the next decade, there’s plenty of fodder for many more socially conscious movies to come with each policy victory.